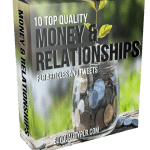 In this PLR Content Pack You’ll get 10 Top Quality Getting Married on a Budget PLR Articles and Tweets with Private Label Rights to help you dominate the Getting Married on a Budget market which is a highly profitable and in-demand niche. 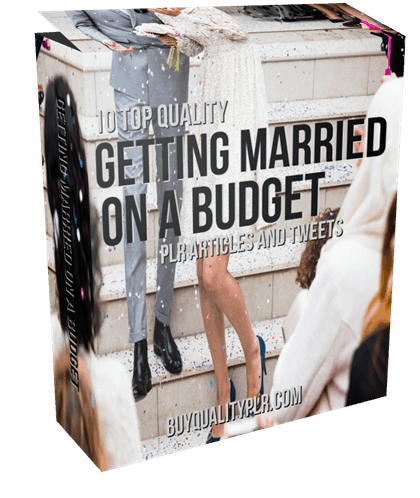 What Can You Do With This Getting Married on a Budget PLR? There are cycles of life that seem to have a pattern. One of those is weddings. People love getting married in February and December. Weddings on or near Valentine’s Day are very sought out. So are holiday-themed weddings. Anytime between spring and fall will also be popular wedding times, with most weddings occurring in August. Choosing an off time for your wedding will impact the cost substantially, but you need to make sure it works for you too. Evening weddings are the most popular and the most expensive. With this knowledge in mind, you can see how dates and times can affect the cost of a wedding. 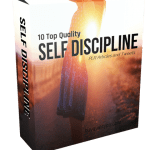 The more in-demand the date and time are, the more expensive the cost because you’re competing with others. In fact, the date and time of your wedding can affect almost all your costs. Photographers also have more demand during the normal wedding times, as do caterers and more. 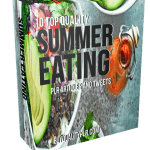 If you factor this in, you can save about 20 to 30 percent just by having your wedding in the morning or afternoon during a time that is not a holiday. The best months to get married concerning cutting your costs are January, March, April, and November. One reason November doesn’t fall into the holiday wedding theme idea is that of football. No one wants to have a wedding during a game weekend, but a November wedding can be amazing and festive too. It’s not a popular wedding month, so it can work out wonderfully and lower your costs substantially. We mentioned that evening weddings are the most popular, as are weekend weddings. Most weddings are on Saturdays, followed by Sunday and then Thursday. 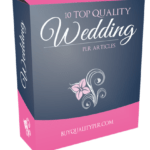 If you want to choose a time and date that is not as popular, getting married on a Tuesday morning or afternoon will likely be unusual and lower the price of venue substantially. The only problem, of course, is whether your guests will or even can come due to it being in the middle of a workweek. 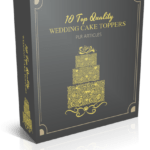 We will only be selling 50 copies on this Getting Married on a Budget PLR content pack, so don’t waste any time and grab your PLR license while it’s still available for sale.